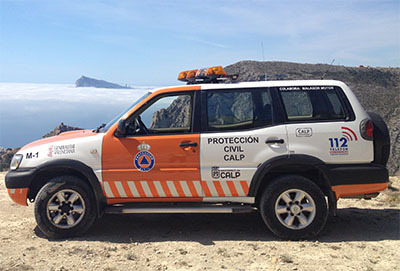 The Protección Civil of Calp (civil defence organization) is a human and altruistic organization acting without expecting anything in return in the interest of the people, and the property and environment in the Valencian Community. It is responsible of the civil defence. This voluntary organization depends on the Mayor and its councillor and is integrated in the Municipal Service of civil defence. It is composed by individuals being volunteers of the civil defence organisation according to its administration regulations.